NEW. 9780199246304 This listing is a new book, a title currently in-print which we order directly and immediately from the publisher. Print on Demand title, produced to the highest standard, and there would be a delay in dispatch of around 10 working days. For all enquiries, please contact Herb Tandree Philosophy Books directly-customer service is our primary goal. NEW. 9780198206415 This listing is a new book, a title currently in-print which we order directly and immediately from the publisher. Print on Demand title, produced to the highest standard, and there would be a delay in dispatch of around 10 working days. For all enquiries, please contact Herb Tandree Philosophy Books directly-customer service is our primary goal. New. Trade paperback (US). Glued binding. 336 p. Contains: Illustrations, black & white. 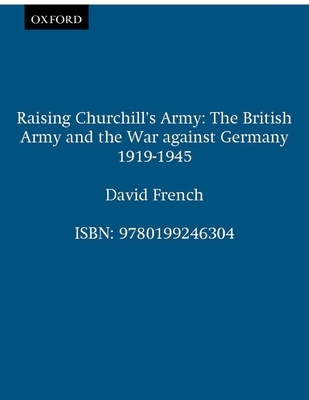 British Army and the War Against Germany 1919-1945.